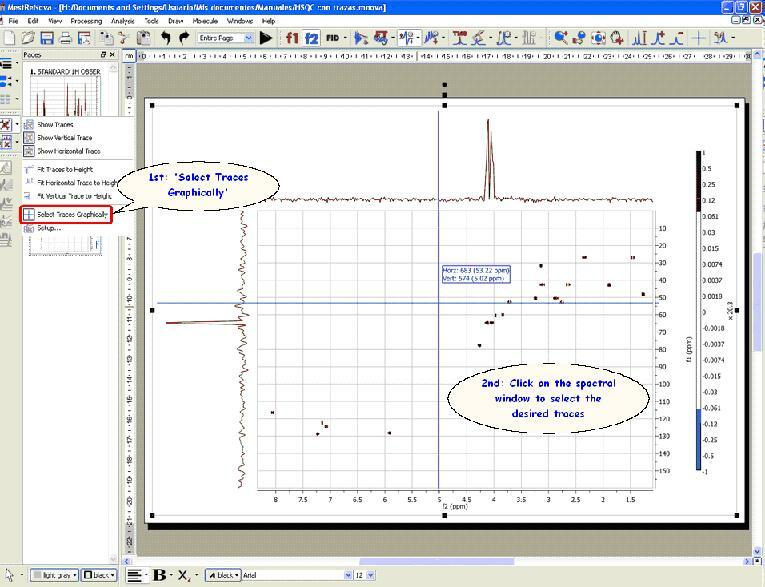 and next selecting the desired 1D-NMR spectrum for the horizontal an then for the vertical trace. 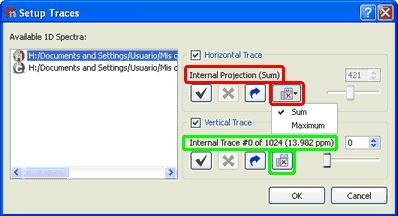 The user will be able to remove the external trace by clicking on the ‘Delete’ icon . 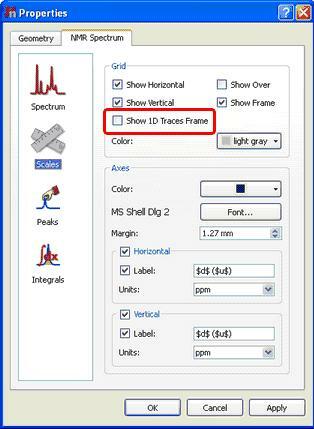 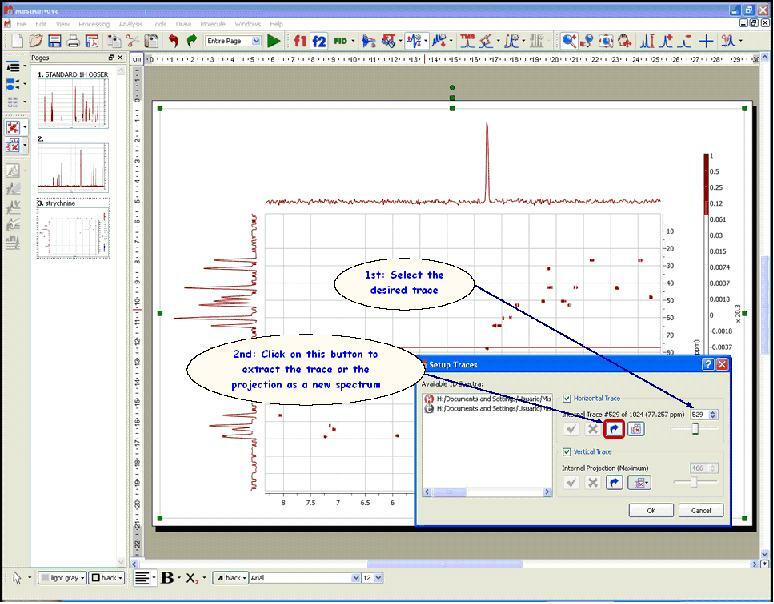 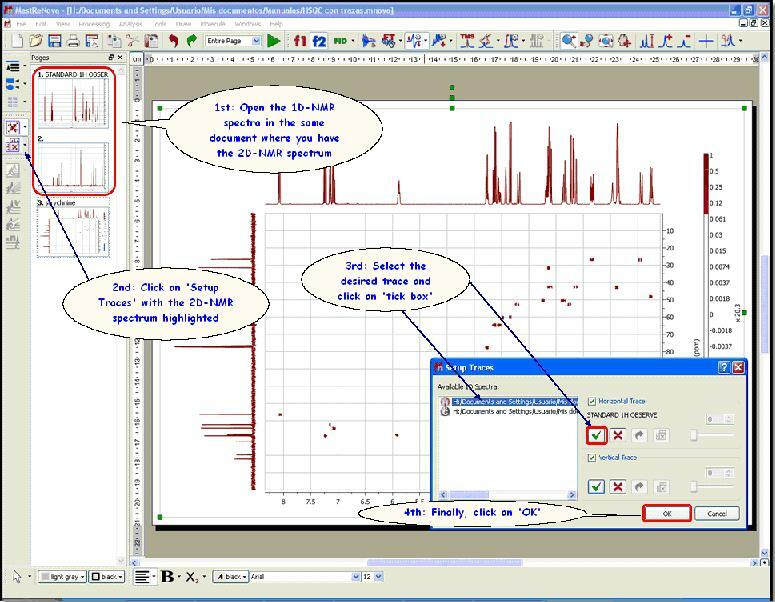 The user can also select the traces directly from the 2D-NMR spectrum by using the ‘Select Traces Graphically’ tool in the ‘Show Traces’ scroll bar menu. 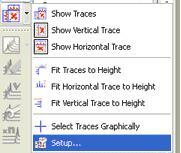 In the ‘Setup traces’ dialog box. 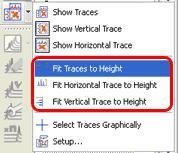 In the figure below, you can see how to extract the vertical trace (# 517).